For the third time in four weeks we've picked out the winner and a place in the each-way column. Two weeks ago Dave Tindall picked out Brooks Koepka in the US PGA Championship at 20/1 and my man, Gary Woodland, placed at 125/1. Then Joe Dyer plumped for the 50/1 winner, Andrea Pavan, last week at the Czech Masters, with Dave putting up Lee Slattery, who placed at 45/1 and Mike Norman's 33/1 pick, Matt Wallace, yesterday won the Made in Denmark, with my fancy, Lucas Bjerregaard, finishing sixth at 40/1. That's a cracking run of form pushing the profits ever higher so make sure you look out for the picks for this week's Omega European Masters tomorrow and I'll be back tomorrow with the De-Brief, with more on Wallace's dramatic victory but for now we've still got a round to go at the Dell Technologies Championship, where Mexico's Abraham Ancer, leads through 54 holes. Here are the current standings with prices to back at 12:10. Abraham Ancer will take a one-stroke lead in to today's final round but the stats aren't good for the young Mexican. As highlighted yesterday, debutants have a poor record at TPC Boston, and as highlighted in the preview, Justin Thomas was tied with Marc Leishman after three rounds last year but he was just the second 54-hole leader or co-leader to convert since 2005. Although 54-hole leaders don't have a great record, the vast majority of winners are close to the lead with a round to go and Rory McIlroy, who was six back two years ago, is far and away the biggest comeback winner at TPC Boston. Charley Hoffman shot 62 in round four eight years ago to win from tied fourth and four adrift but every other winner at TPC Boston has been within three shots with a round to go. Bryson DeChambeau, who finished birdie-birdie-eagle yesterday, was backed before the off and he's the man to beat now but it won't be easy to back up yesterday's low round. Webb Simpson certainly struggled after his 63 on Friday (shot 76!) and Hatton was a bit ragged yesterday after his 63 on Friday but I'm hopeful Bryson can go in again and become the ninth player to win two FedEx Cup events in the same year. I'm quite happy to oppose Hatton given how easily frustrated he gets and given, like Ancer, he's playing the course for the first time and the two I like from here, besides Bryson, are Justin Rose and Rory McIlroy. At four adrift and in a tie for eighth, Rory has traffic to pass but he couldn't be better primed for a charge. When he won the title for the second time two years ago he shot rounds of 71-67-66-65, so far this week he's shot 71-67-66. Is it an omen? He clearly loves this venue and I prefer Rory from just off the pace rather, rather than bang on it, so I've added him to the portfolio and I've topped up on Justin Rose at [6.4]. Lee Westwood has hit the front at the Made in Denmark and he's the man to beat in what now looks like a five man tussle. Here are the latest standings with prices to back at 10:55. Lee Westwood looked highly likely to enter today's fourth and final round with a healthy lead and he's already been matched at just [1.91] but a double-bogey at the 18th yesterday has given much hope to the chasers. Now 45, Westwood hasn't won for three years and that last victory was a shaky win too. He led the Indonesian Masters by five strokes with a round to go but eventually won via a playoff after he shot 73 in round four. His overall record when leading through 54 holes is decent enough but many of his wins have been when he'd established a healthy 54-hole lead and he's bound to feel the heat today. Having his girlfriend, Helen Storey, on the bag seems to have inspired Westwood nicely and she may be able to keep him nice and relaxed today but he hasn't won on the European Tour in over four years and I'm not convinced he'll find a serene route to victory. The three men tied for second are all looking for their first victories on the European Tour and I can't look beyond pre-event pick, Matt Wallace. The 28-year-old Englishman, who was also Mike Norman's each-way fancy, is looking to win his fourth European Tour title in 16 months and he's certainly not frightened of a Sunday scrap. The [5.0] available this morning is a perfectly fair price and if I wasn't already on I'd be taking it. Over at the Dell Technologies Championship, this year's Players Champion and the 2011 winner, Webb Simpson, leads at the halfway stage. Here are the current standings with prices to back at 10.55. The last time Webb Simpson shot 63 in round two he went on to win the Players Championship in May but that was slightly different to the scenario faced this weekend. On that occasion, he was five clear of the field by this stage and he moved to seven in front after round three. Being just a stroke in front is a far more precarious position and his record when leading through 36 isn't spectacular. He's led or been tied for the lead at this stage on 12 occasions in total but his win at Sawgrass in May was just the second time he'd converted. The only other occasion was at the Shriners Hospitals for Children Open when he led by four so he's never actually won when not nicely clear of the field at this stage. Add to Webb's ordinary record when leading at halfway the fact that 36-hole leaders have a poor record in this event and the [4.6] available looks less and less appealing. The first three tournament winners were in front at this stage but only one of the last 20 men to lead or co-lead through 36 holes at TPC Boston have gone on to win. 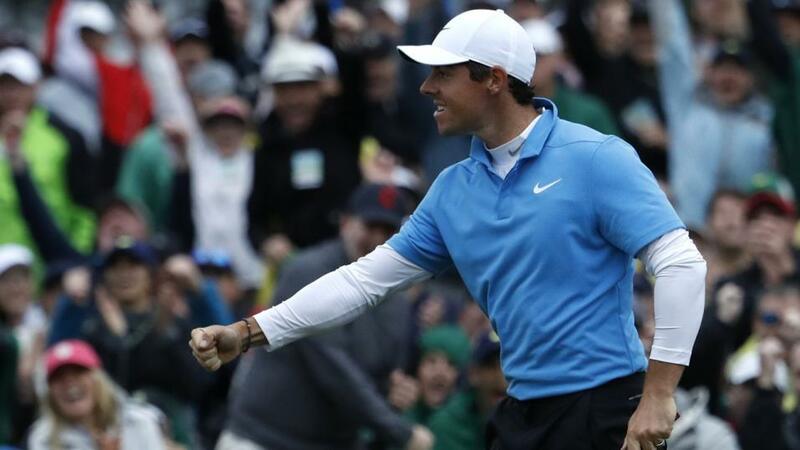 Rory McIlroy was one in front at this stage when he won six years ago. Justin Rose was one of the 20 to fail from the front, way back in 2006, but he's right in the argument here and he's arguably the man to beat. I dismissed him as poor value yesterday at around 9/2, as first round leaders have a poor record, but he didn't do much wrong yesterday and he currently ranks number one for scrambling and for Par 4 Scoring this week. They were the two main stats to concentrate on and with Simpson and Tyrrell Hatton, alongside Rose in second, both needing to follow up eight-under-par 63s yesterday, Rose looks the value today. Another negative for Hatton is the fact that he's playing here for the first time. As highlighted in the preview, Phil Mickelson, back in 2007, is the only debutant to win here since Adam Scott won the inaugural staging in 2003 and that negative also applies to Tommy Fleetwood who's alone in fourth. The last four winners here have trailed by five, seven, four and five strokes at this stage so although there's a bit of separation at the top of the leaderboard it's clearly unwise to discount everyone outside the top six places and throwing a few pounds at some wild outsiders may well pay bumper dividends. The only I like at the prices is Russell Henley who sits tied for 28th and eight off the lead. He's just the sort capable of a ridiculous couple of days with the putter so in addition to placing a small bet on Rose, I've thrown a few pounds in his direction at a monstrously big [670.0]. South Africa's Christian Bezuidenhout, leads by two at the halfway stage of the Made in Denmark on the European tour. Here's the latest standings, with prices to back at 10:10. This looks like a tournament to leave alone for now. The leader has done nothing wrong but whether he can win his first European Tour title from the front is debatable and he looks skinny enough to me at less than 5/1. Ryder Cup vice-captain, Lee Westwood, finds himself in-contention for the first time in ages and looks one to swerve too and it's hard to envisage the first-round leader, Jonathan Thomson, hanging around all weekend. Sam Horsfield impressed me when second at the Tshwane Open in March but the 10/1 on offer looks about right to me. The market favours Thomas Detry strongly, as it invariably does, but he flatters to deceive too often for my likely and of the others listed above, I've already got Matt Wallace onside from the start. Wallace was infuriating to follow yesterday. Having started poorly, despite starting at the 10th (11 and 12 are great birdie/eagle holes) he turned his day around brilliantly and he was matched at just [4.5] after he'd found the fairway on the par five eighth, having got to ten-under-par for the tournament, but he missed the green left there and did the same at the ninth to finish bogey-bogey, just as he looked like being the man to beat. My other pre-event pick in-the-mix, Lucas Bjerregaard, was even more disappointing, limping round in one-under-par but he could bounce back today and he's amongst a big group of a dozen players on seven-under-par that includes Thomas Pieters. Over at the Dell Technologies, Justin Rose now heads the market after opening the event with a bogey-free, six-under-par 65 to lead by one over Scotsman, Russell Knox, and Mexican, Abraham Ancer, who was the only other player not to drop a shot on a tricky day for scoring. Dustin Johnson, who trails by three, is sounding bullish. "I don't understand why I haven't had more success here because I like the golf course," he said after an opening 68. "I feel like it sets up well for me. And I'm going to have success this year." It's great to hear him being so confident but I'm in not rush to back him at less than 6/1. Rose heads the market at [5.6] but I'm happy to swerve him too. As highlighted in the In-Play Tactics section of the preview, first round leaders have a poor record here and most of the recent winners have all started slowly. Rickie Fowler sat second, just two off the lead, after round one when he won here three years ago and Rory McIlroy sat sixth and just three off the lead in 2012 but five of the last seven winners have been some way off the pace after day one. Webb Simpson was four adrift and tied for 27th after round one in 2011, Henrik Stenson was four back and tied for 23rd in 2013, last year's winner, Justin Thomas sat 30th and five back, McIlroy was 6th and six adrift in 2016 and back in 2014, Chris Kirk was ten back and tied for 65th! I'm more than happy to hang fire for now here too and see what today brings. All the talk going in to this week's European Tour event, the Made in Denmark, was focused on Ryder Cup qualification, with Thorbjorn Olesen, Matthew Fitzpatrick and Eddie Pepperell all in with a chance to earn the eighth automatic qualifying spot on the European team, but all three have stuttered on day one and Olesen, who currently occupies that key eighth spot, is a very long odds-on shot to stay there. It's far too early to get excited about their prospects, but playing in the morning, my each-way pick, Lucas Bjerregaard, fired a bogey-free six-under-pat 66 to sit tied for second and two off the early leader, Jonathan Thomson, and one of my other pre-event picks, Matt Wallace, who was also Mike Norman's each-way fancy, finished well in the afternoon to post four-under. There was only a differential of 0.57 strokes between the morning and afternoon starters but five of the top-seven after round one played in the morning. I'm hopeful that Wallace can get a move on in the morning when he starts on the 10th. That hole averaged 3.97 and was the 12th hardest today and 11 and 12 are a great chance to pick up strokes. The two combined averaged more than a stroke under-par today and they were the two easiest holes on the course. If you plan to bet in-running, watch out for the finish. Holes 16, 17 and 18 ranked as the fifth, first and third hardest in round one and combined, the three averaged .81 of a stroke over-par. Joe Dyer's each-way pick, who I also backed before knowing Joe fancied his chances, JB Hansen, didn't start brilliantly but the other four picks have all started nicely and so have Paul Krishnamurty's three Find Me a 100 Winner selections. All in all, not a bad start. Although content with the start, I've still added one more - recent European Open winner - Richard McEvoy. Given McEvoy won back-to-back events at the end of July and that he finished fairly well at the Nordea Masters on his return to the fray two weeks ago, it's amazing to see he was matched before the off at in excess of [200.0] and he's an insulting price now at [40.0] and above given he sits on five-under-par after round one, with thanks in part to this tee-shot on the seventh that very nearly found the cup. This week's PGA Tour event, the Dell Technologies Championship, starts tomorrow so here's my preview and I'm glad to see Dave Tindall's in agreement re Billy Horschel. Dave's also published his First Round Leader piece here and I'll add one of my own too. Ryan Palmer, who was fifth last week, has twice ended the first round in front here and once sat third so he's my idea of a decent each-way bet at 80/1.